Better late than never right... right?! 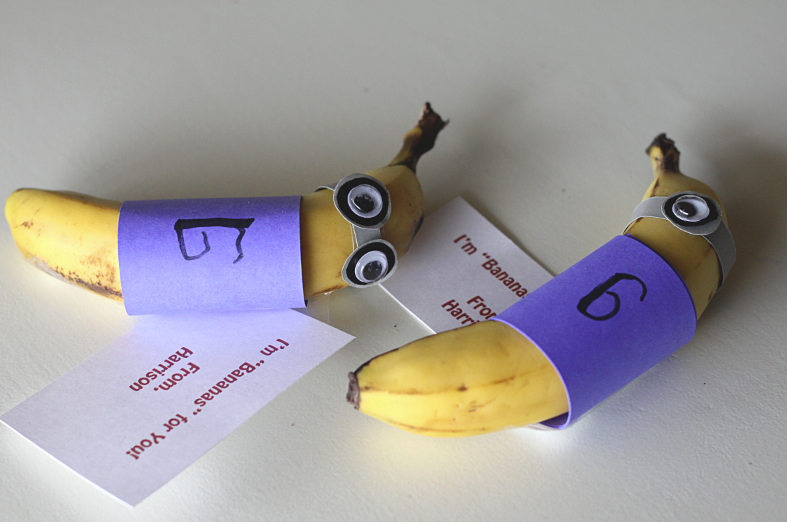 Can I just tell you how much fun I had with my son making his Valentine's this year. My little four year old is something else. He is smart. He is funny. He is talkative. He is imaginative. He is creative. He is just plain awesome. One thing that has just come to surface recently is his craftiness. (I don't know where he could have gotten that from..) He literally sat next to me the entire time while making these for his classmates and cousins. He was incredibly helpful with the glueing and taping, and as you can see "G making". 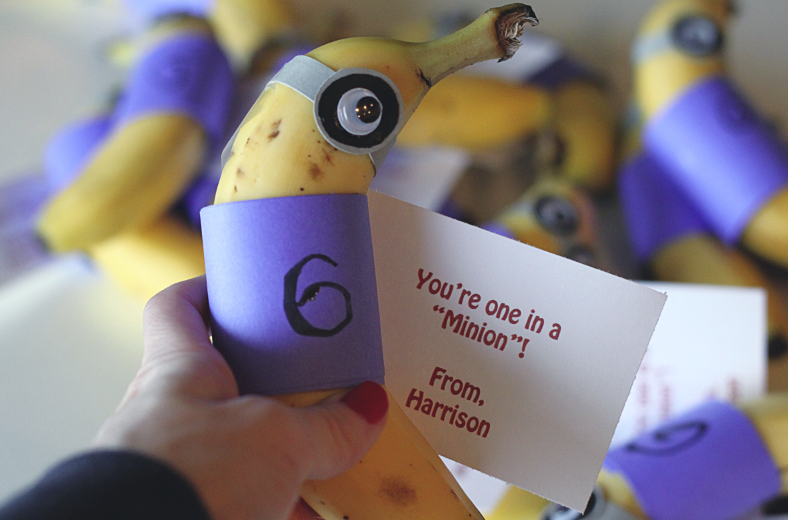 I just love the special one on one time we had while making his Valentines this year. Seeing as how he is growing so quickly I drink up these moments! There is nothing better in life in my opinion! Nothing! Oh, and by the way... and as you can plainly see I am one of those moms that sends fruit instead of candy on holiday class party days. My hope is that among the ginormous amounts of candy and treats my child gets, he will at least get one healthy snack. 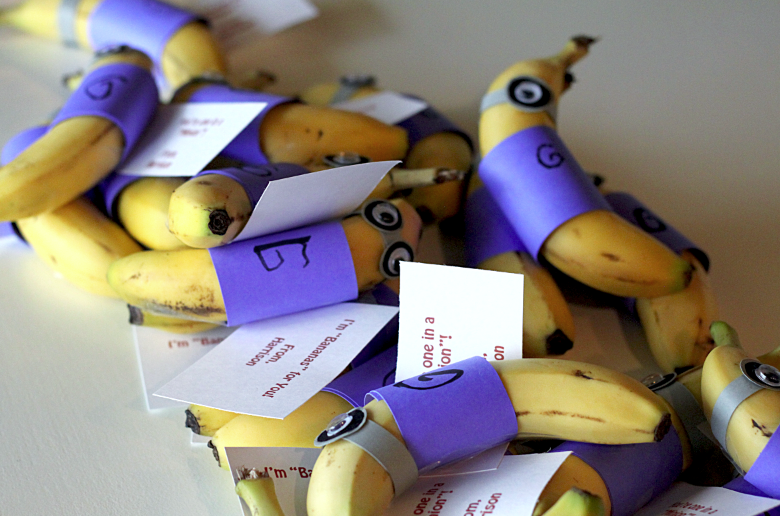 Plus, bananas look like minions and minions love bananas. It kinda totally works!